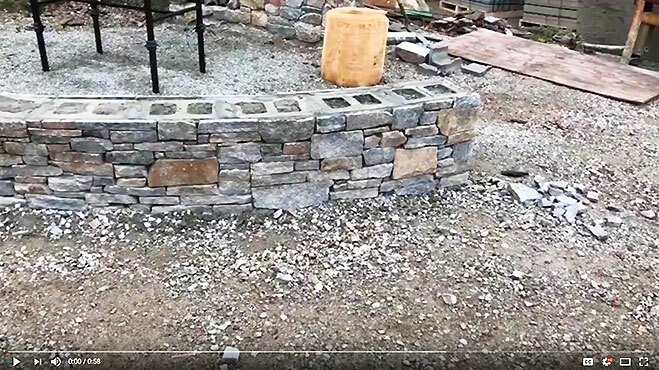 We offer everything from traditional stone in all colors, shapes, and sizes to the latest products like thin stone veneer that reduces weight and cost. 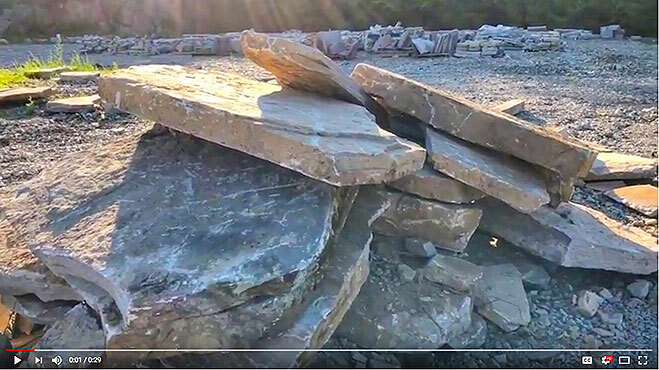 For years Plymouth Quarries has been partners with the JF PRICE in quarrying our Weymouth Granite stone. 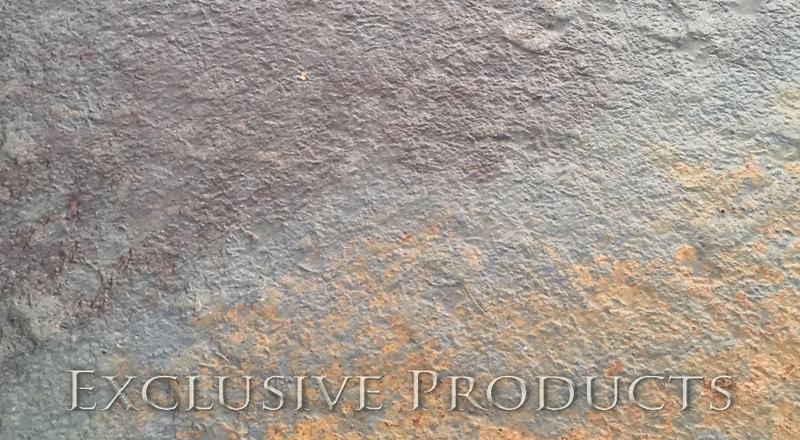 The two companies have now merged to offer the most complete line of stone products and services. 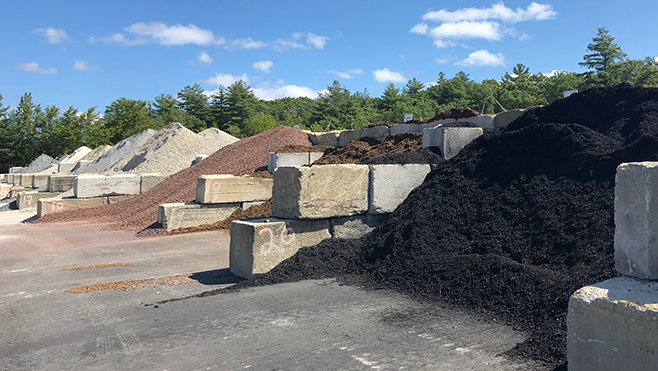 JF PRICE will continue to specialize in loam and aggregates along with all our Plymouth Quarries products. 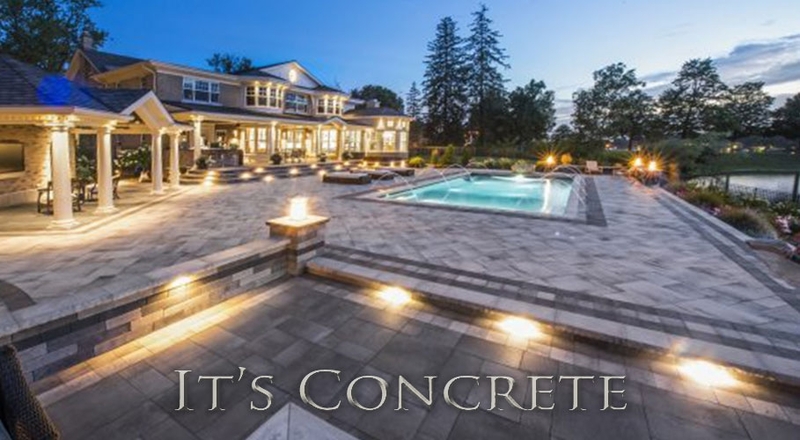 We are now one company dedicated to the most complete line of quality stone products and services. 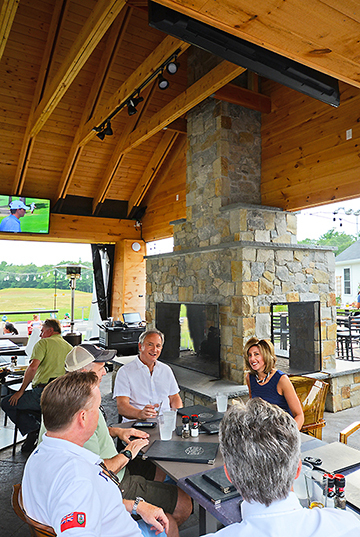 The cathedral outdoor fireplace at >The Range in Hingham, MA, is 10 feet wide by 22 feet high. 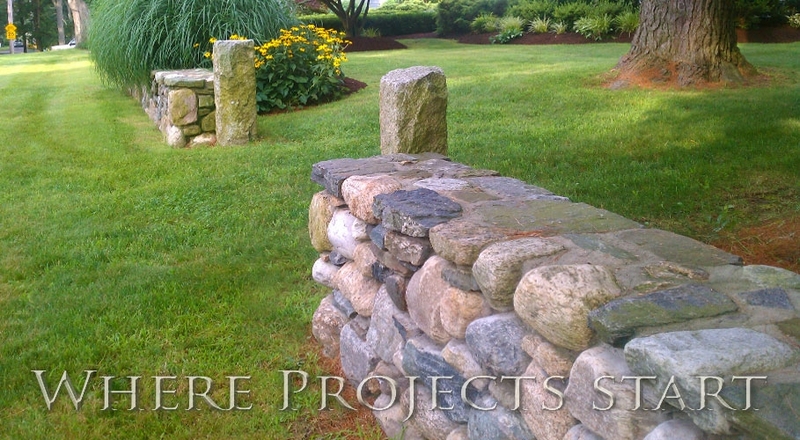 It tiers in twice with Smokey Mountain Granite caps. 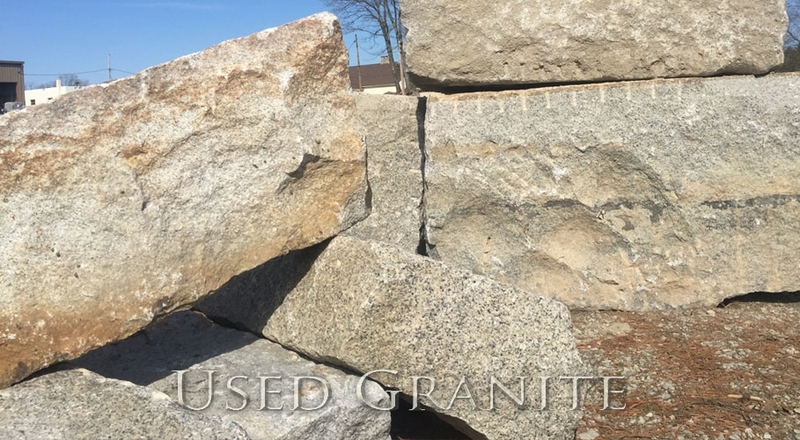 Plymouth Quarries’ Weymouth Granite is used in the body of the hearth, columns and corners of the fireplace. 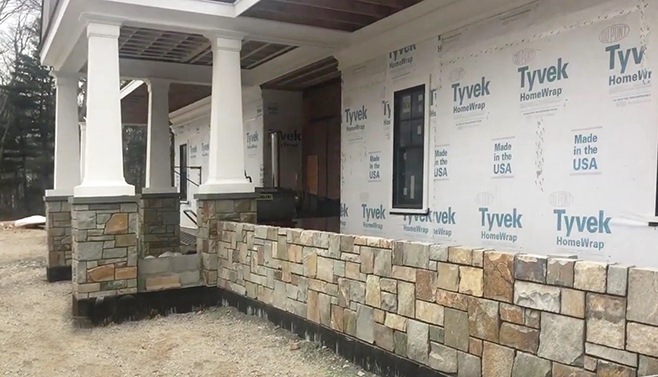 The granite creates a "quoin look" against the Liberty Hill and Hampton stone work that makes up the body of the fireplace. 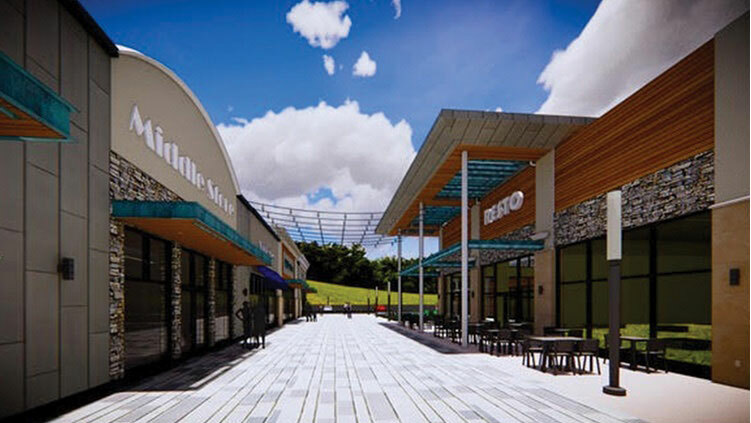 All of these products are Thin Veneer natural stone supplied by Plymouth Quarries. 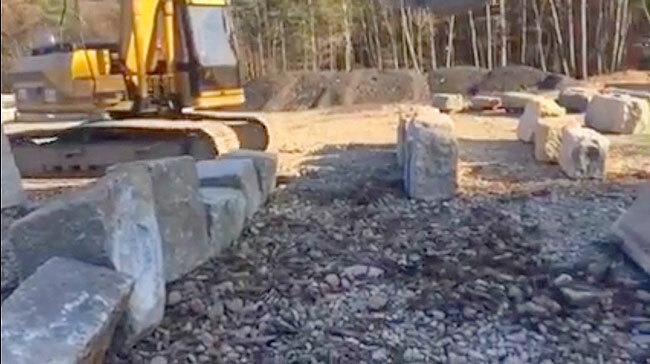 Plymouth Quarries of Hingham, MA, since 1915, is a vibrant modern stone quarry and showroom open to the public. 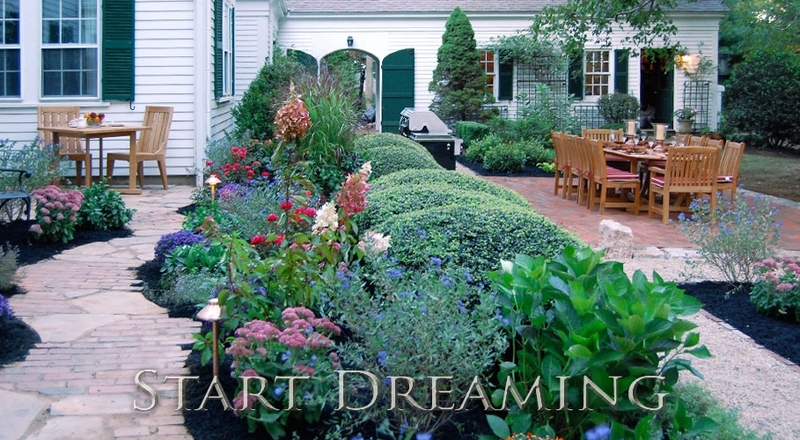 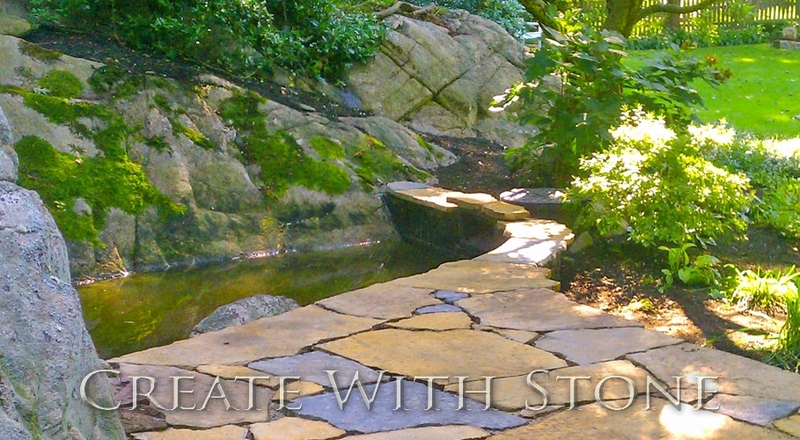 We supply the right stone and earth products to create the enduring look and function you want; from the simple weekend homeowner projects to the stone for Boston College, Yale University, and many more prominent institutions. 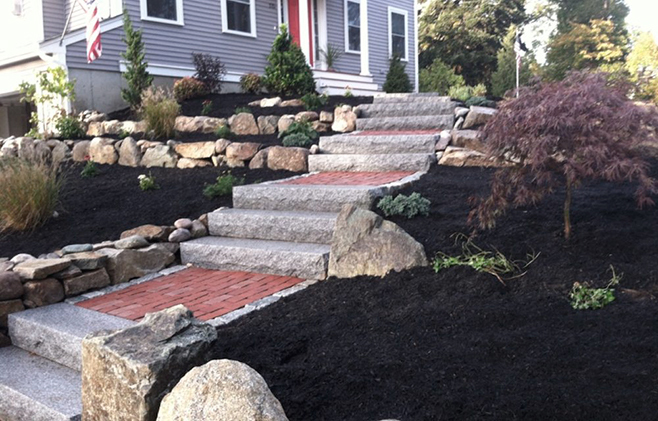 We are committed to making sure you have everything you need to get your project done. 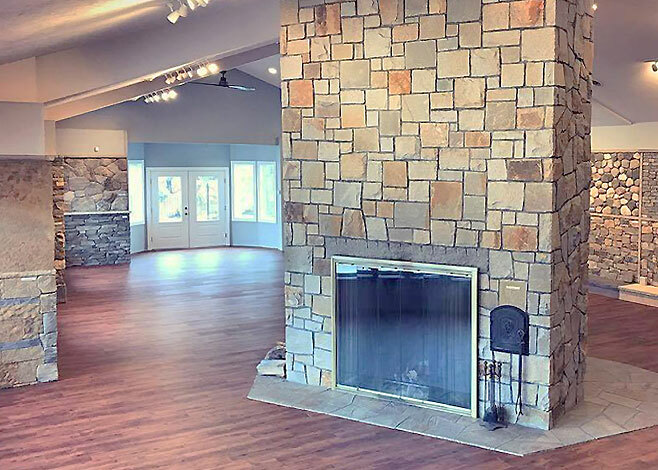 Our showroom has been completely renovated to offer the most comprehensive resource for selecting the best stone for your projects. 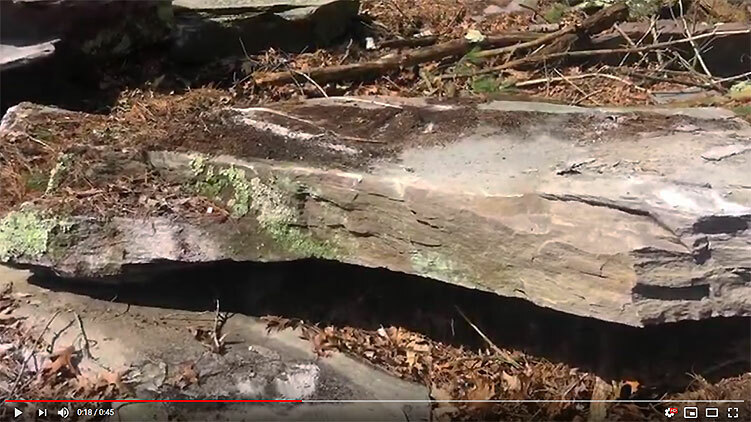 It is a great resource for homeowners and their architects, builders, masons, and landscapers to find the right color and style stone for their project. 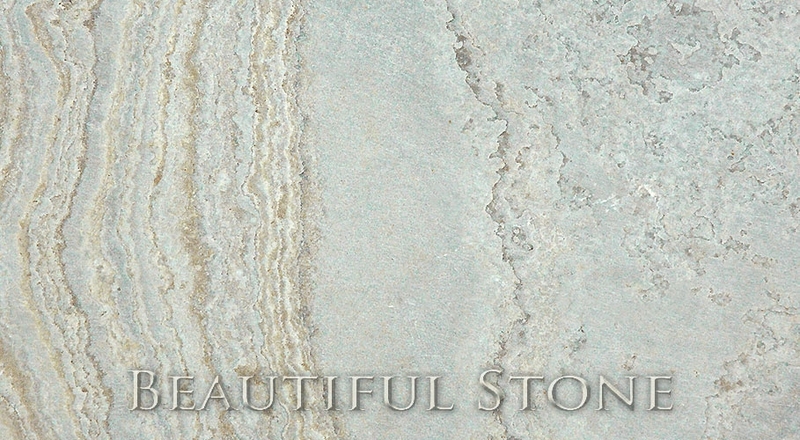 Nothing can compare to seeing the actual stone color and texture before you start a project. 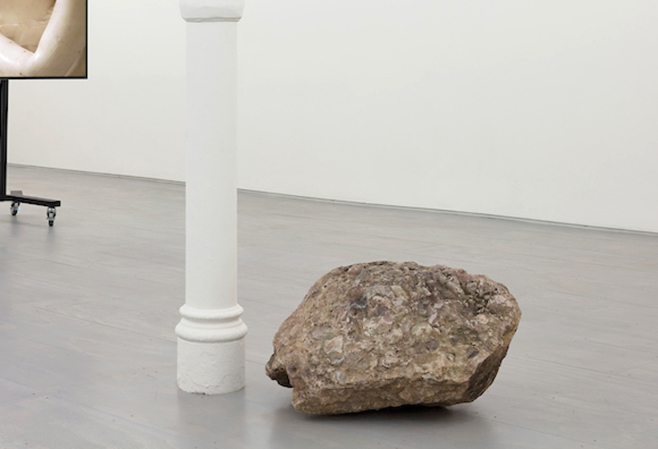 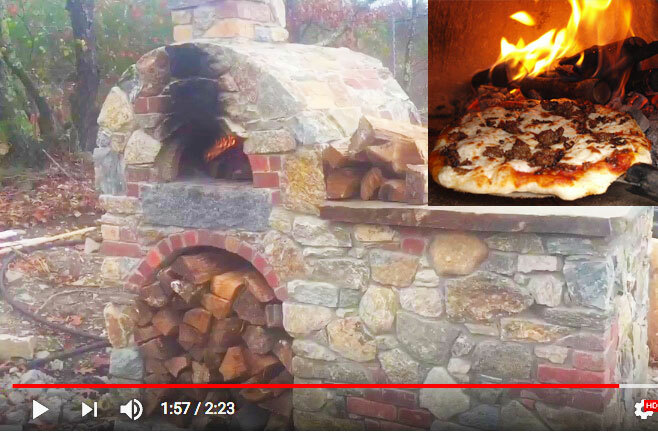 Time lapse Video "Building our New Pizza Oven"
Plymouth Quarries recently fulfilled an unusual request for a Roxbury Pudding Stone to The 47 Canal Art Gallery in New York City. 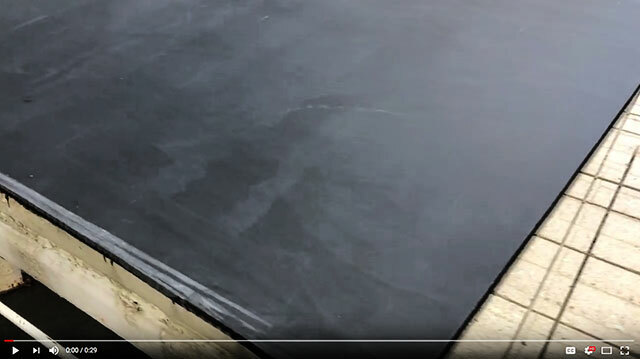 The very first run for our new saw. 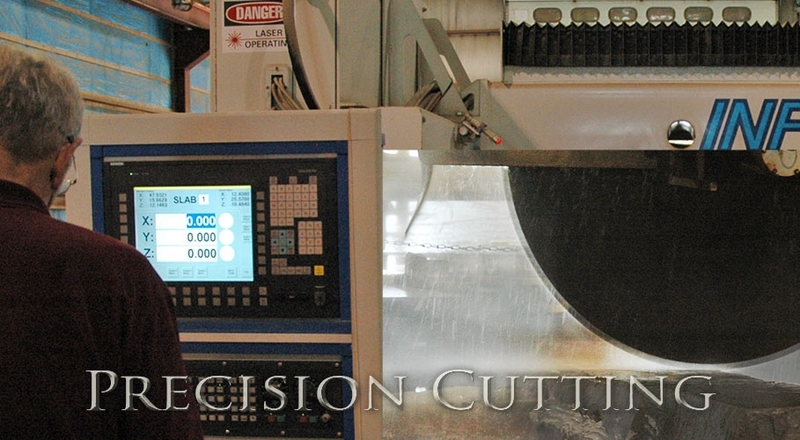 We are cutting our Weymouth Granite for the new buildings at Boston College! 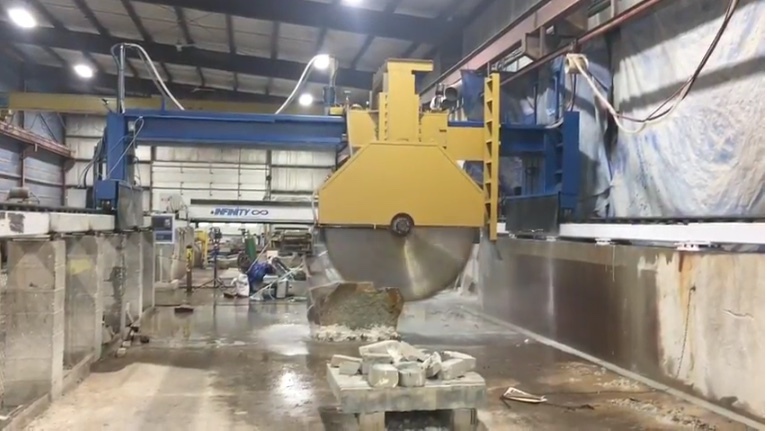 Cuts like butter! 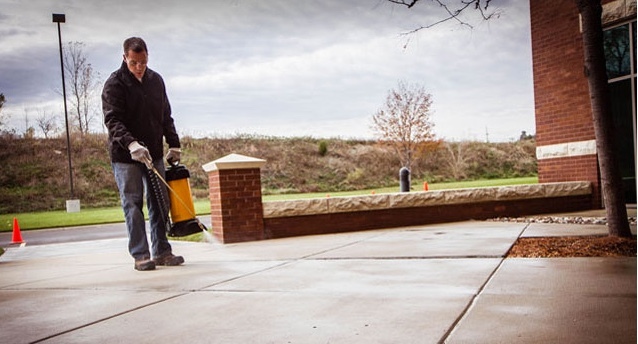 Now is a great time to protect concrete, masonry, concrete block, clay and concrete brick surfaces with water repellent and chloride screen. 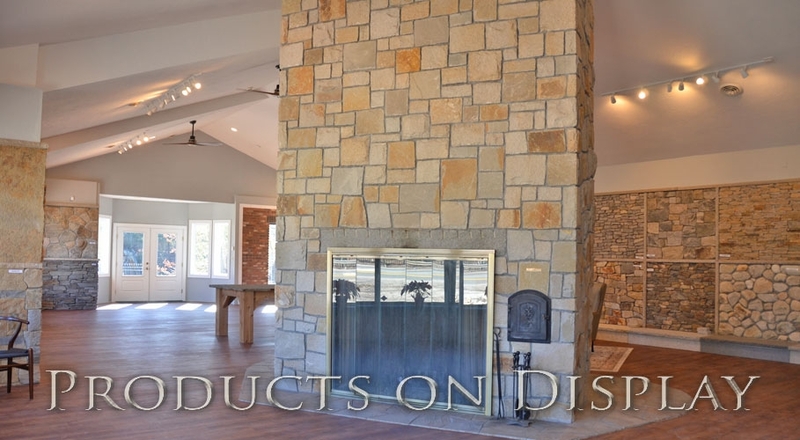 Stop in and ask a sales rep for all the details, you will be glad you did. 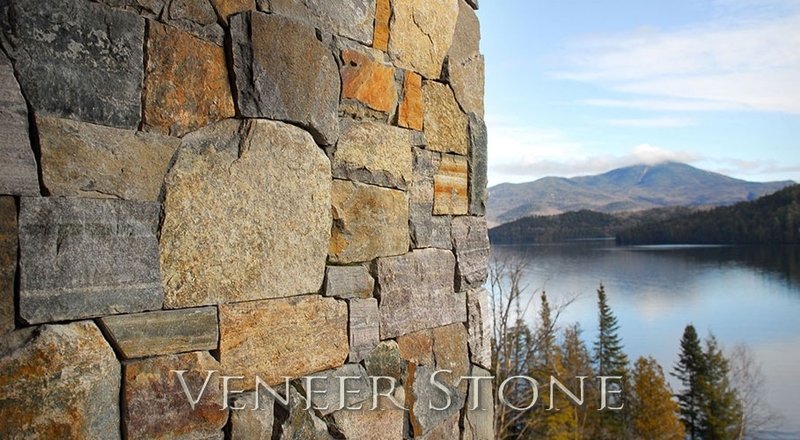 Most thin stone veneers come in four cuts (shapes). 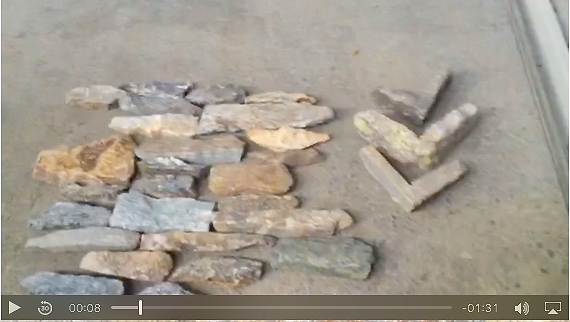 Please click for video to better understand the cuts.